Hi beauty people! Today I share the amazing blog of Jordan. 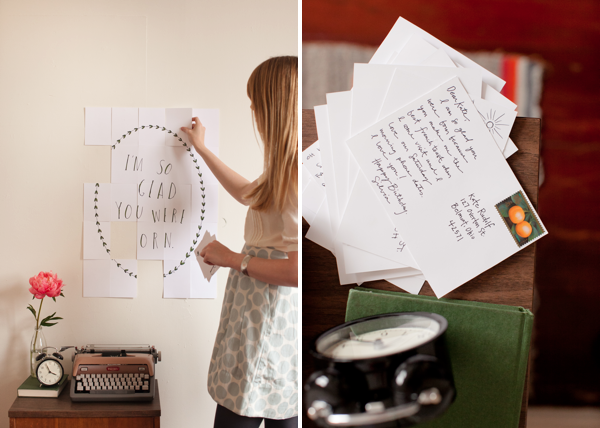 She is a party planner and letterpress printer from San Francisco. Look at her blog, she has excellent ideas, tutorials and self-explanatory photos! What I bring here today is a lovely idea, especially gift for a relative, friend or someone you love very much! Gift with a lot of suspense and love!! See here the Postcard birthday poster.